You’ve likely heard it said that there’s nothing more dangerous in the kitchen than a dull knife. 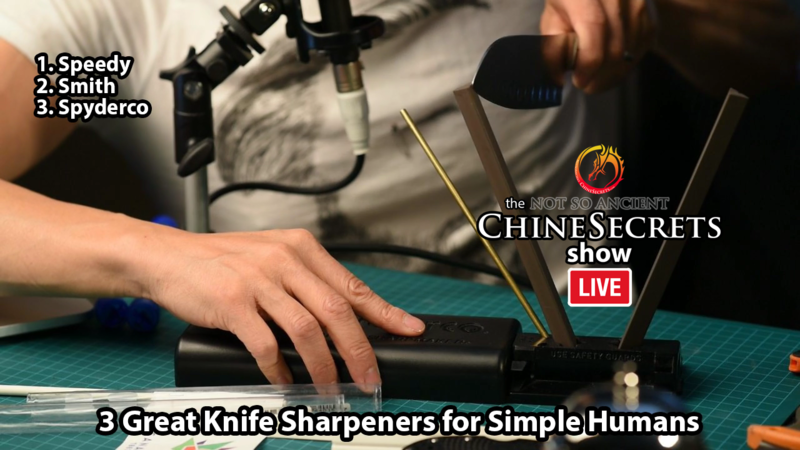 Thankfully, knife sharpening doesn’t have to be time consuming or difficult. Here are the knife sharpening tools, tips and tricks that help me keep everything from our delicate Japanese knives to our axe – scary sharp. 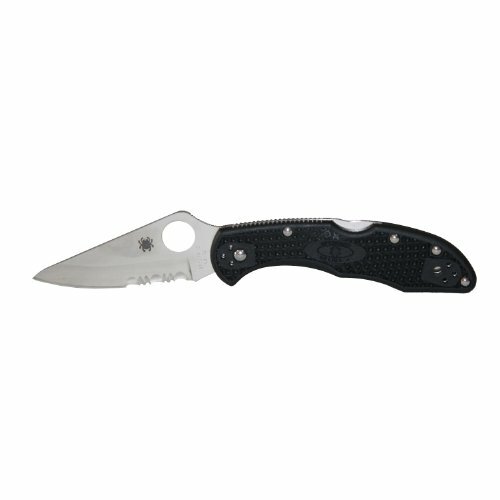 The below 2 items are tiny enough for your go-bag, and are indispensable for quickly getting a sharp edge on everything from an axe to a kitchen knife. I carry them with me whenever I’ll be cooking at someone’s house, air b&b or hotel. 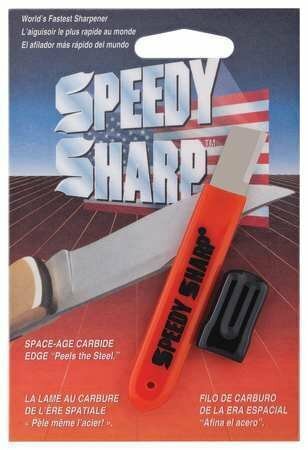 The Speedy Sharp takes a lot of metal off very quickly, but lacks refinement in use. 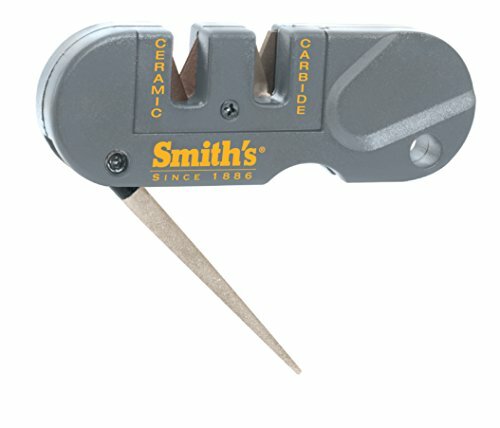 Smith’s Pocket sharpener is the perfect partner to the Speedy Sharp. It doesn’t take as much metal off your edge, but can easily refine a sharp-ish edge to create a good cutting edge. 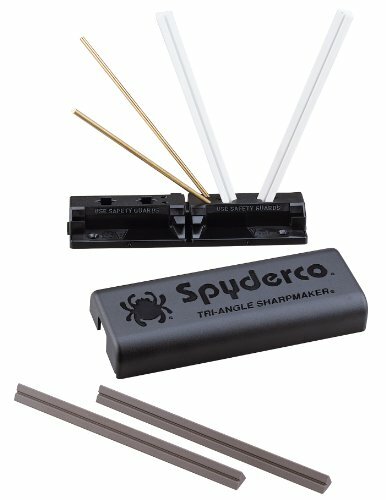 For your best knives, the Spyderco Sharpmaker is a great tool for not only sharpening, but daily honing. NotSoAncient Tip: I live dangerously and use only one brass safety guard to allow my Sharpmaker to sit flush against my kitchen counter wall. Leaving it out on the counter means I can quickly hone my knife at the perfect angle every day without having to drag it out every time. But … DISCLAIMER: Safety first! 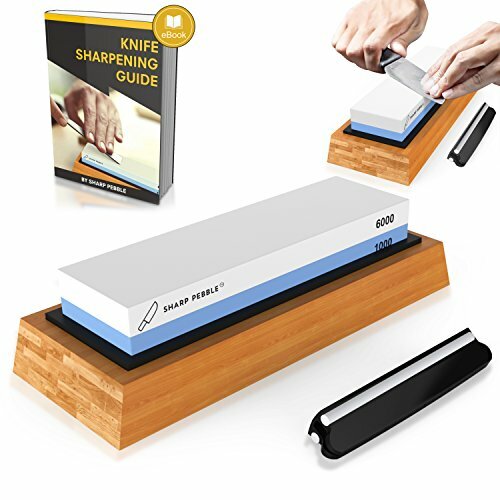 Make sure to read/watch all the tutorials and make your own decision as to how to best use the Sharpmaker. And to be honest, sometimes a good ol’ whetstone just can’t be beat for the sheer amount of metal it can take off and for the release of creating your own sharp edge. Here are links to the knives seen in the video above.